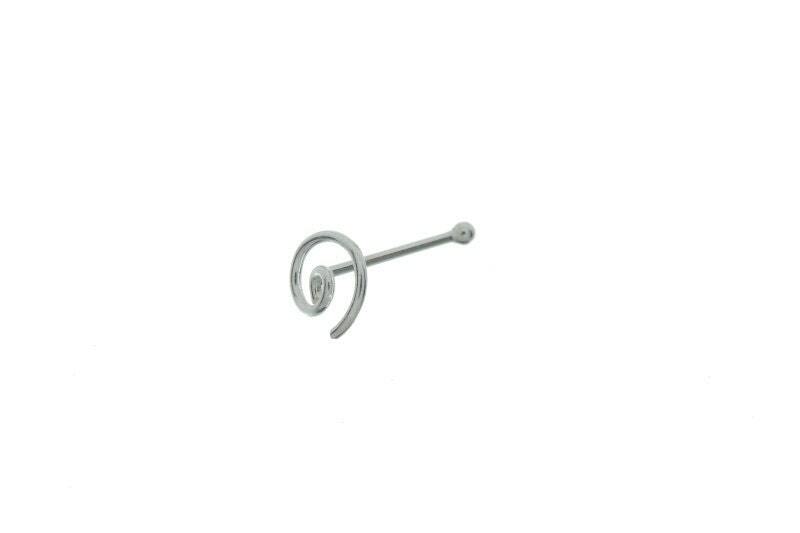 Open spiral sterling silver nose stud. 20 gauge bar. Slightly larger ball at end to help keep the piece in place. This nose stud is a handmade piece. Measurements: Length: 1/8"; Width: 3/16"